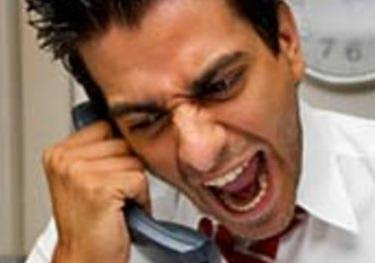 MediMiss anger chris bloor customer service Depression Diabetes Heart Attack High Blood Pressure Insomnia management motivation Stress Stress management STROKE Stroke Symptoms The Angry Guy on the Phone..
Anger just isn't worth the effort. The guy on the other end of the phone was having a terrible day. He was angry with a capital A. Apparently, someone had failed to meet him for a pre-arranged appointment and he was on the telephone, letting me have it with both barrels. Tried to get a word in edgeways. Waited whilst he raved on about "the importance of sticking to appointments"
Then I said something that stopped him dead in his tracks. "My name is Chris. Not Dave." After he hung up the phone (Just in case you are wondering, no - his didn't apologise) I went into the kitchen and put the kettle on for a cup of coffee. And I thought; I wonder if, after he calmed down, he would have realized how utterly pointless his anger was and how in the big scheme of things it wasn't worth it. You see, somewhere in this world a child is dying of cancer. Somewhere a baby is taking his or her first breath. Somewhere a man is sat by the bedside of his wife of 50 years, watching her fade away. Somewhere, a teenager is falling in love for the very first time. A couple are getting married. Another are being torn apart by the pain of divorce. A kid is learning to ride a bike. A refugee is hiding in a ditch with soldiers searching for her, ready to shoot to kill. When you compare THOSE things with the fact that some guy missed an appointment - our angry friend really has nothing much to worry about now does he? Are you getting stressed out over the little things? Things that in the scheme of things really don't matter. Next time you feel like getting angry - stop and make sure that it is something worth getting angry about. 9 times out of 10 you'll see that it isn't. Use your energy for better things. Go outside and look up at the stars and stand amazed at the beauty of God's creation. Let go of your anger. The proverb says "Anger rests in the bosom of fools"
100 years from now all that will matter is how you have lived your life. Choose the path that says; "I'm not going to give in to anger. I'm going to see things in perspective. I'm going to 'let it go' and choose to be calm.